This coastal region in the north of Spain is a mixture of scenic resorts, stunning mountain landscapes and prehistoric caves and makes an inspirational destination for a Spanish language tour. 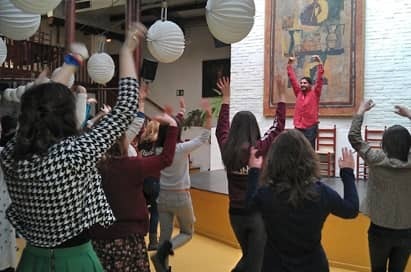 Relatively undeveloped and authentically Spanish it is a great place to immerse your students in the language and culture through a combination of lessons, workshops and educational visits. Explore the perfectly preserved medieval village of Santillana del Mar and visit the Altamira caves with their prehistoric cave paintings. 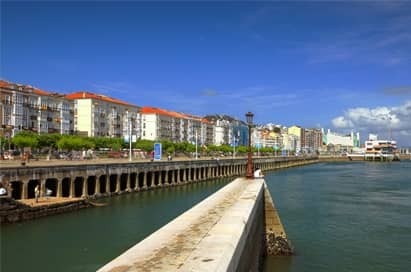 The lively bayside capital of Santander is known for its seafood tapas, long curving Sardinero beach and maritime history. For natural wonders, head into the mountains for spectacular scenery or ride the mining train through the El Soplao Caves to see some of the best rock formations of their type in the world. There are excellent opportunities to improve your students’ language skills during your trip to Cantabria. 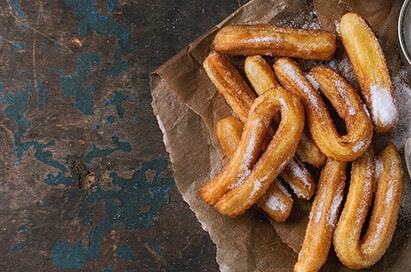 We can include Spanish lessons with native speakers to your requirements. Take part in a two-hour session, with time for Flamenco and Latin tuition as well as a demonstration at the Centro de Danza Belin Cabrillo. The cave has a train to bring visitors to its heart, and a series of walkways through the formations. The informative introductory talk, the lighting, the colours, the acoustic and musical effects and the atmosphere make this 1-hour visit a memorable experience. 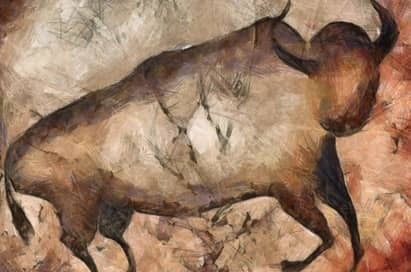 The cave of Altamira was the first place in the world where the existence of rock art from the Upper Palaeolithic age was identified. 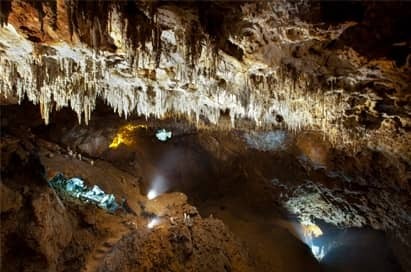 A visit to the cave allows visitors to discover the living environment of its settlers and the beauty of their cave art from between 22,000 and 13,000 years ago. 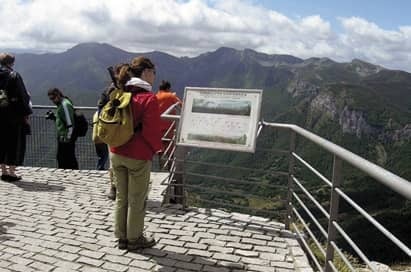 From the Fuente Dé cable car you can admire one of the most outstanding views of the Picos de Europa range. In wonderful natural surroundings, the cable car rises almost vertically from 1094 to 1847m, an ascent of 750m along an impressive cliff. At the top your students will be amazed by the breathtaking views. 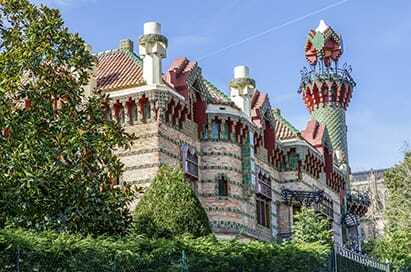 This superbly colourful, intricately detailed turreted house, is one of Antoni Gaudί’s very earliest works (1883-1885). It’s also one of the few pieces he designed outside Catalonia. Styled in strips of bright sunflowers and leaves, it is the exterior that really dazzles: various raised viewpoints dotted around the gardens give different vantage points to view its beauty. The beautiful seaside city of Santander has a lot to offer. Excellent beaches, a lively city center, interesting museums, beautiful gardens and nature preserves. Take a cruise around the bay of Santander to get a different view of the city. 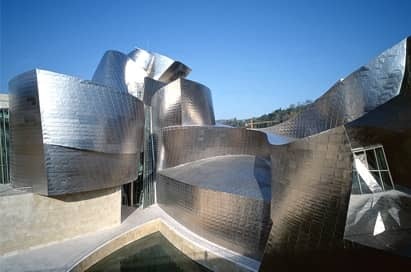 A short journey from Cantabria, the Guggenheim Bilbao is worth a visit. The website includes a number of resources designed to guide your students through the exhibition, prepare students before they visit the exhibition and encourage students to take a more in-depth look at the works on display.